Top 50 Qlikview Interview Questions With Answers. 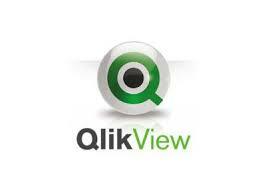 Top 50 Qlikview Interview Questions With Answers. Qlickview Iterview Questions and Answers For Experienced. Most Frequently Asked Qlikview Interview Questions And Answers. 1.What kind of chart we use in Qlikview Admin? We generally uses bar chart, line chart, combo chart, scatter chart, grid chart, etc. 2.Explain Set analysis in qlikview ?? It is used for set of groups. Mostly used in arrgeted function like sum (year)etc. 4.Explain Mini Chart?.What do you mean by sub reports and how we can create them? 6.Which graph we will use for two years difference sale ? 8.How many dimensions we can use in Bar chart? 9.Which Qlikview object has only expression and no dimension? 10.How we can use Macros in our application? We can use macros for various purposes like for reloading the application and to create a object. 11.What do you understand by layers in Qlikview? Well Structured Form of Data, which doesnt have any repetition or redundancy of data. Its a kind of Relational data. Its mainly used in OLTP kind of stuffs Denormalized Data – Its a whole bunch of data without any relationship among themselves, with redundancy of data. Its mainly used in OLAP kind of stuffs. 14.What Is Star Sechma ? 15.What is Snowflaking Schema ? A snowflake schema is a difference of the star schema. Snowflaking is used to improve the presentation of particular queries. Internal match fuction is used to generate data bucket of different sizes. 19.What do you understand by extended interval match function()? 20.what are the new features in QV 11? 21.Explain joins and its types? 27.Explain 3-tier architecture of Qlikview Application? 28.How does Qlikview stores the data internally? 29.Explain the restrictions of Binary load for a QlikView Developer? 30.For a QlikView Administrator, differentiate between subset Ratio and Information Density. 31.what is the use of Optimized Load? 32.Differentiate between keep and joins? 34.What is incremental load in Qlikview Architect? 35. Differentiate between set and let option in Qlikview? 37.How we can optimize QV application? It can be optimized by creating the data into qvds. When complete qvw application is changed into qvd than this qvd will be store in the RAM. NoConcatenation prefix is used to forced the identical tables as two separate internal tables. It is used to establish a connection the connection to database with the help of ODBC or OLEDB interface. 43.What do you understand by Fact constellation Schema? It is a logical database structure of data Warehouse . It is design with the help of De Normalized Fact..
44.What do you mean by RDBMS? It stands for relational Database management System. It arrange the data into respective column and rows. 45What do you understand by the term CAL in Qlikview Server? Every client need a CAL to get connected with Qlikview Server. The CALS are taken up with Qlikview Server and tied with the server serial number. 46.Differentiate between QV server and publisher? QV Server is a program that is installed on computer with various CALS which allow user to access QV Files on the server. Publisher is a program which manages centralized control on our QV files and manages them how and when the are loaded and distributed. 47.What do you understand by snapshot view of the table? 48.How we can bring data into qv? 49.How we can handle Early Arriving Facts. 50.What type of data we generally use? 0 on: "Top 50 Qlikview Interview Questions With Answers."